Mission statements are fundamental for any business, no matter your area of expertise. 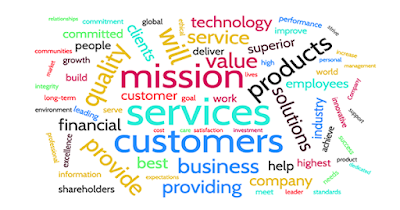 A good mission statement emphasizes what is important to your company and clarifies what it is your business does. This statement is a useful tool that you can focus on and draw from as your organization grows. While mission statements are crucial for any business, in this article we’ll focus on creating a mission statement for your law firm. Whether you’re a defense attorney or a corporate lawyer, check out our tips to help you draft a strong mission statement. This is not to be included fully in your mission statement, but your mission statement should encapsulate the feeling and theme of a story. To help you get started, imagine a potential client searching for an attorney. Why are they looking for an attorney? How does your firm fit their criteria? What will the client gain by choosing your firm over another? These concrete details will help you create a clearly defined statement. A market-defining story will seamlessly portray how your firm is different than others, and clarify what you do and do not do. Seemingly an obvious question you’d need to answer in your mission statement, figuring out the “what” of your law firm is probably the most important. There’s no need to be fancy here – simply state your “what”. Once you figure out other specifics, you can add them in later to make your answer more impactful later on. How does your business do what it does? This is where core values come into play. If you’re dedicated to calming clients in stressful situations, your mission statement should reflect that. Take a moment to think about and list out the core values that are expressed in your firm. Once you’ve outlined these, pick one or two to add to your mission statement. The most interesting and powerful part of your mission statement comes from the question, “Why?” Why do you do what you do? A good question to ask yourself while drafting this piece is, “Why was this firm founded in the first place? Did you really want to help people who were wrongfully convicted? Did you want to bring aid to those who could not afford it? When explaining your “why”, it is important to be specific. As you’re writing, try to use words that encapsulate the full meaning of your firm. Mission statement writing is not a quick process - it takes time to draft ones that is well-rounded and impactful. That being said, specificity is of utmost importance. Buzzwords and legal jargon are generally ineffective when it comes to your mission statement. You need something that is easy for clients to remember and comprehend. Now that you have everything planned out, it is time to start your first draft. It may be beneficial to collaborate with other staff members during the writing process. Pro tip: continually revise what you’ve written and think about whether there is a better way to say something. If you’re looking for inspiration, there is a site that provides example mission statements that just might help you get the ball rolling.